Blog > YouTube > Can You Choose a Non-Skippable Video on YouTube Ads? 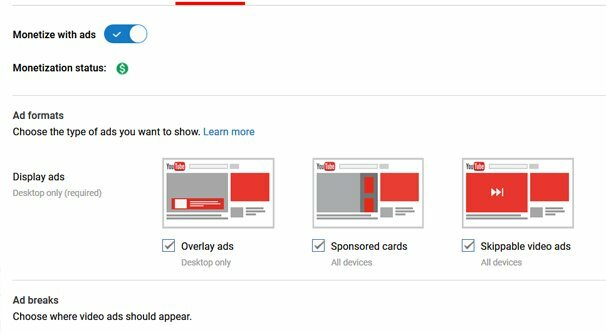 YouTube has spent quite a while building up a portfolio of different ad formats. They have everything from sponsored search results to commercials before videos to overlays on top of embeds. Choosing which type of ad you want to run is a big part of YouTube advertising. YouTube has actually had the ability to make pre-video ads unskippable for a while. However, until recently, it was a feature limited to certain video creators; not everyone could use it, and not everyone would use it even if they could. Then came an announcement around August of 2018. Creators in general are now able to implement unskippable ads, but more importantly, old videos that used the TrueView ad format – skippable ads pre-video – are converted into unskippable ads. That means creators with large video archives will need to go through their old videos, or at least those that get enough views to matter, and change the ad format away from non-skippable ads if they want their viewers to be able to skip at their leisure. There are a lot of little quirks with unskippable ads and what they mean, both for viewers and for creators. First of all, you have to look at the money. People who advertise on YouTube know that a sizable proportion of YouTube viewers will skip pretty much any ad put before them as soon as possible. Non-skippable ads before videos are therefore at a premium. If a user really wants to watch the video they clicked on, they’ll be forced to watch the ad. As a consequence, these ads are guaranteed to have a higher watch rate, and consequently a higher engagement in terms of raw numbers, though potentially not in terms of engagement rate. In other words, advertisers are willing to pay more for non-skippable ads on YouTube rather than the traditional TrueView ads. Advertisers pay more, creators make more, and it’s win for YouTube themselves. Of course, there are definitely people who will choose not to watch content – or to watch non-monetized pirated versions of the content instead – rather than suffer through an ad they don’t want to watch. The ever-increasing percent of the population using ad blocking software, both on smartphones and on desktop devices, is a testament to the ongoing war between advertising and frustrated consumers. You also have to consider ad content. There have been numerous cases over the last few years of advertisers running their ads over content either the advertiser objects to, or the content creator objects to. A liberal content creator might not want a conservative politician running ads over their videos, for a basic example. Other examples have been a lot worse. YouTube does provide some broad-level advertising control for content creators. 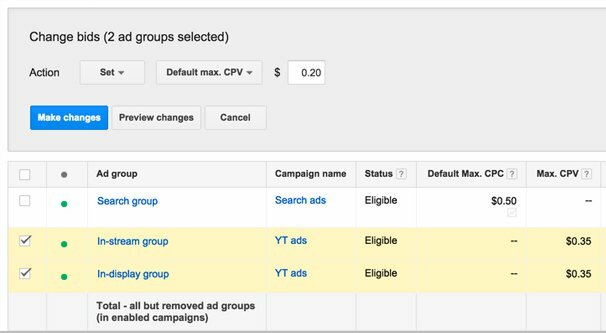 Content creators can sign into their Google ads accounts and, in the YouTube section, choose to block specific advertisers or entire categories of advertising. You can read more about ad content blocking in this help center article. Content creators have to decide: do they want to keep skippable ads before their videos, or do they want to try the new unskippable ads? 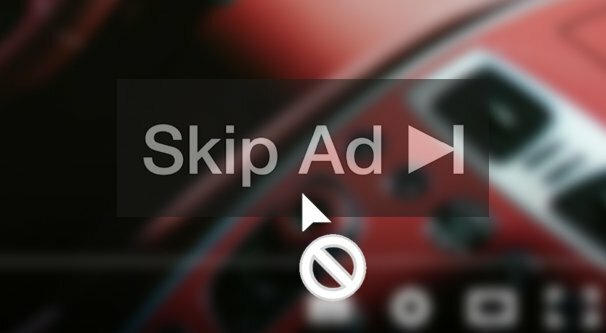 To help make the choice, let’s look at some details about how unskippable ads work. First of all, an unskippable ad can appear before, in the middle of, or after a video. We often talk about pre-video ads because those tend to be an obvious break point; either someone will watch the ad and proceed to the video, or they won’t. However, it’s almost as bad for users to leave in the middle of a video. Post-roll ads aren’t nearly as valuable because most people simply close the video when they’re done. 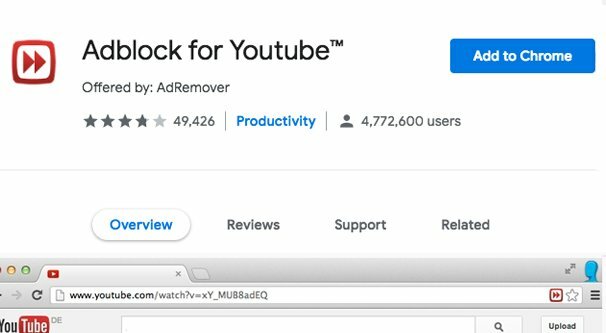 Non-skippable ads have to be short, which is beneficial to user retention. As of this writing, the duration of an unskippable ad can only be 15-20 seconds in length. This does tend to vary a bit depending on the location of the user, according to this somewhat confusing chart. This is also a change as of January of this year. Prior to January, unskippable ads were able to be up to 30 seconds long. Remember, the average web user has an attention span only a few seconds long, so a 10-second change is fairly significant. YouTube also has a lot of say over which ads play on what videos. They determine the appropriate ad from a pool of potential ad videos, based on signals like the type of content as determined by keywords, how the user discovered the content, and so on. This isn’t a perfect algorithm, but it’s better than allowing advertisers control down to specific videos. Can you imagine if you had to specifically target individual videos with your advertising? Imagine keyword research, except it takes a hundred times longer and the keywords are being replaced 100 times a second. It’s worth noting that some advertisers are able to create longer unskippable ads, but only through contact with a Google ads representative. Basically, that just means it’s limited to only the largest advertisers. You know, the ones with million dollar ad budgets and special treatment everywhere they go? From the advertiser perspective, creating an unskippable ad for YouTube is the same as creating any other kind of ad. When you go to make a new video ad, the choice will be part of choosing an in-stream video ad. Just pay attention to the specific type of ad, one of them will say it’s non-skippable. That’s the one you want to make. Depending on what part of the equation you’re part of, different kinds of ads have different pros and cons. I’m going to try to cover them in a sort of broad overview, so look at things from your own perspective. 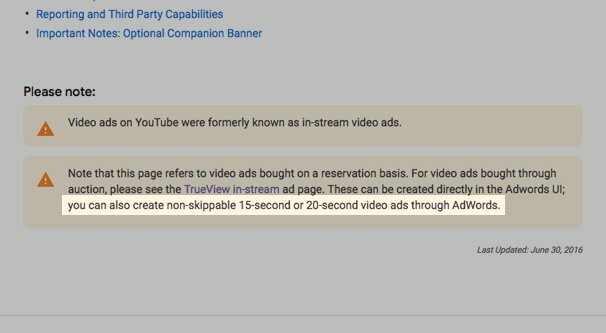 TrueView, or skippable ads, have long been the default ad format for in-roll ads on YouTube. They’re familiar, they’re common, and they’re going away. Essentially, they allow advertisers to produce ads as long as they like. There’s one pro for advertisers: you have flexibility with the ad duration. One quirk of TrueView ads is that the advertiser only pays if the viewer watches 30 seconds worth of the ad, or the full duration of the ad if the ad video is less than 30 seconds long. 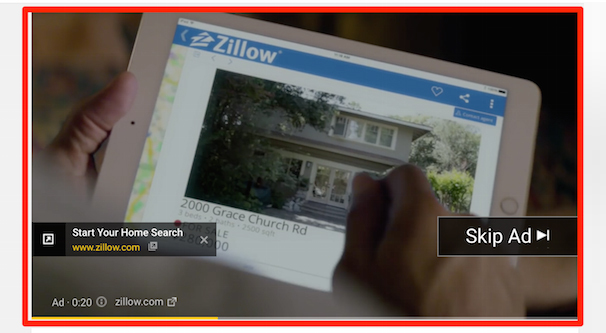 TrueView ads are good for the viewer, because if they aren’t interested in the ad, they can skip it after five seconds have elapsed. It’s a minor annoyance, but it’s one many people have been trained to cope with over the years. 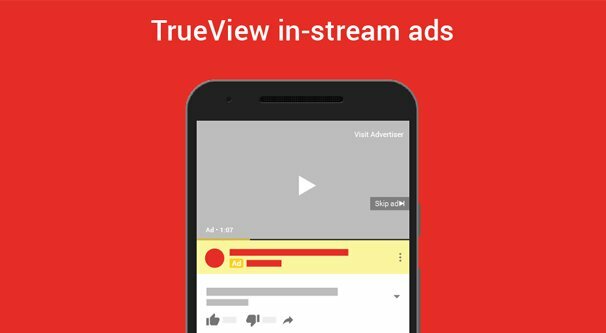 TrueView ads are also good for the advertiser. Because the advertiser only pays when a viewer watches either the full ad or a significant portion of the ad, you know you’re getting a qualified audience, mostly. Sure, some people queue up a video and walk away to grab a drink or something, but that’s not the norm. Most viewers will either skip the ad – thus not charging the advertiser – or will watch it all because they’re interested in it. It’s a sort of initial level of filtering. The advertiser can gear their call to action specifically knowing that the user is interested enough to not skip the ad, as opposed to other forms of advertising, where you have to do that initial filtering with the ad itself, ad targeting, or another factor. One major con for TrueView ads, unfortunately, is that the content creator loses out quite a bit. Even if they have a huge number of views on their content, if the majority if their viewers are using an ad blocker or are skipping ads after that first five seconds, well, no money is exchanged. The advertiser doesn’t pay for the ad, so Google doesn’t pay the creator. This problem is somewhat solved with the new unskippable ads. 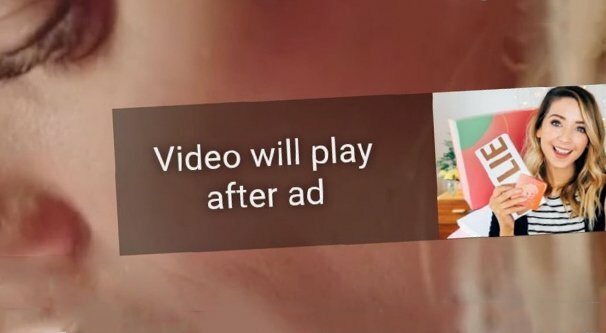 The new ads are guaranteed to pay the creator, because the user has to watch through the full ad duration in order to watch the creator’s video. On the other hand, this has the potential to hurt the view count for the creator. When ads are unskippable, more people are going to skip watching the content instead. Some people simply don’t have tolerance for such enforced advertising. This will drive more people to investigate ad blockers and more people to skip content they might otherwise enjoy. Some may even consider leaving YouTube altogether, though to be honest there aren’t really other good video platforms available. Facebook is trying, but it’s a different atmosphere. It’s worth noting that there’s another form of unskippable ad, called a bumper ad, that shows up at the start of a video but is only six seconds long. Given that users already had to wait five seconds to skip an ad, a six second unskippable ad isn’t much of a change. Sure, across all of YouTube it’s probably an additional trillion watch-hours of advertising, but on an individual basis it’s not even noticeable. For the moment, there’s not enough data in my hands to tell you whether or not running unskippable ads is going to drive away more viewers than the increased revenue is worth. In point of fact, my test channel fails to meet the minimum requirements for monetization per YouTube’s new policy, so I’ve somewhat abandoned it. Incidentally, if any monetized YouTube creators want to talk about how this change in video formats is affecting revenue, shoot me a message. In theory, here are some results of this change from YouTube. For creators, if you choose to run unskippable ads instead of traditional TrueView ads on your content, you’ll probably see a decrease in your overall view counts, with a stable level of income or a potential income increase. It depends on how loyal your fans are, how lucrative your niche is, and whether or not you’re able to overcome the suppressive effect of unskippable ads. You may also want to consider running some tests to see which style of ad is better for your channel. Definitely take the time to watch some of your own videos and see the kinds of ads that are playing, as well as asking others to do the same for you. You want to make sure to blacklist any advertisers you don’t want on your channel. An unsavory ad that can be skipped is one thing, but one that’s guaranteed to be viewed is quite another. 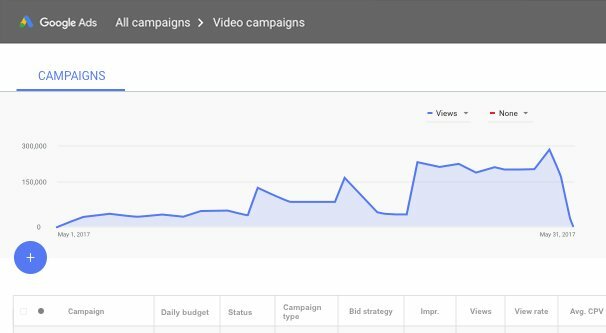 For advertisers, continue making your ads as you normally would, and do your own split tests to determine if unskippable ads are more valuable than traditional TrueView ads. My prediction is similar to above. I figure that skippable ads save you money by acting as a filter to pre-qualify certain kinds of leads. It’s not as useful as targeting and knowing your audience, but it’s an additional level of assistance to help ad performance. Some advertisers may have in-demand products or a catchy enough call to action that they can operate the higher priced unskippable ads for a better profit. Others might need to rely on the more targeted audience of TrueView ads to save some money for thin profit margins. As far as viewers go, well, you have two options. You can watch a piece of content or you can not watch that piece of content. If it has a skippable ad or an unskippable ad is not a decision you’re able to make. Skip ads you want to skip, ignore ads you want to ignore, and if you really hate advertising, there are some pretty good ad blocking apps out there. Tailor your life to your own desires.